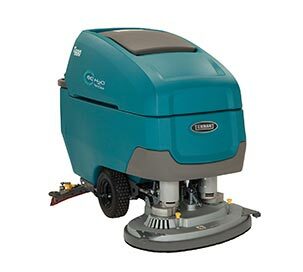 Tennant’s T20 Industrial Rider Scrubber provides excellent cleaning in industrial environments with features designed to maximise productivity and provide high-performance results. 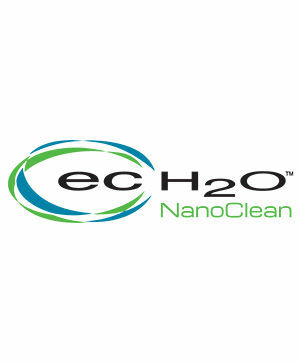 Maximise productivity with ec-H2O™ technology for cleaning up to three times longer than conventional scrubbing. Minimise costs and protect your investment with durable and quality construction. 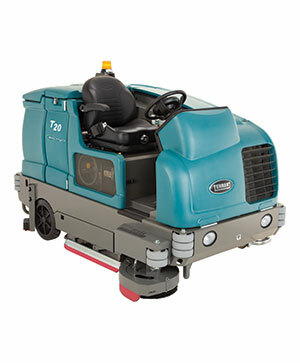 Get superior cleaning performance from your T20 with TennantTrue® Parts that have been designed specifically to help maximise cleaning effectiveness in one pass and achieve better cleaning performance at a lower total cost. 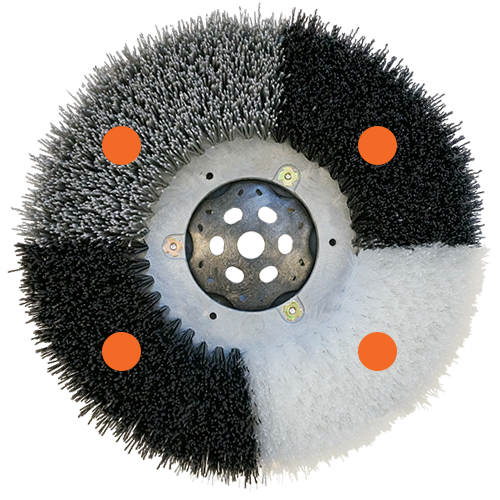 Achieve better performance while lowering costs associated with rework, labour, safety and maintenance by using genuine TennantTrue® brushes, specifically designed for your T20 machine. Don’t settle for less - choose TennantTrue® brushes! 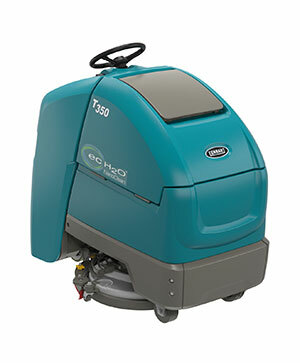 The squeegee is one of the most critical parts on your T20 Scrubber. 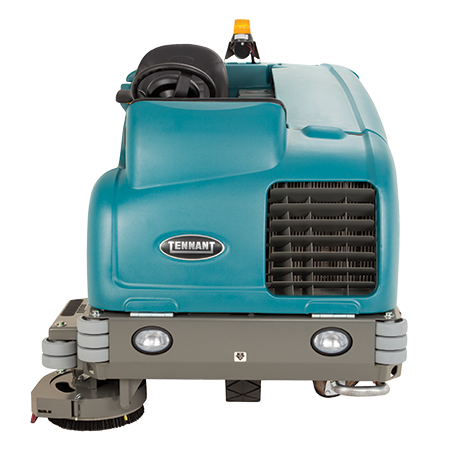 Only genuine TennantTrue® squeegees are designed specifically to fit with your T20 machine to deliver exceptional liquid collection and pick-up for optimal cleaning performance. The correct fit helps reduce downtime and service calls, lowers labour costs and puts money back into your business. Open sight lines, spacious operator compartment and full front shroud ensure operator safety and comfort. 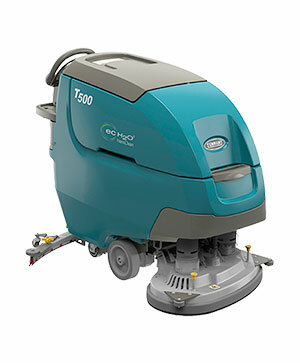 Easy-to-clean solution and recovery tanks allow for complete visual inspection and clean-out, reducing the potential for mould and odours. 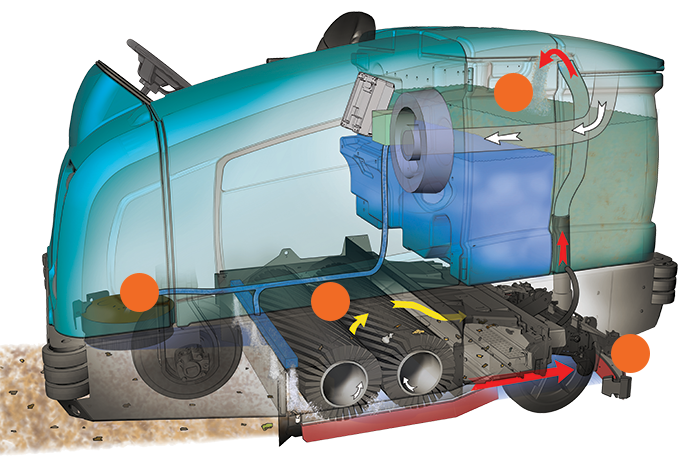 Easy access design offers quick service access and visibility to on-board diagnostics, helping minimise downtime.